A quick "sketch" of one of the needed fixins for the dress (very hard to photograph -- the pictures of the back, where the most damage is, didn't come out at all, but one day if I'm not feeling so lazy...). 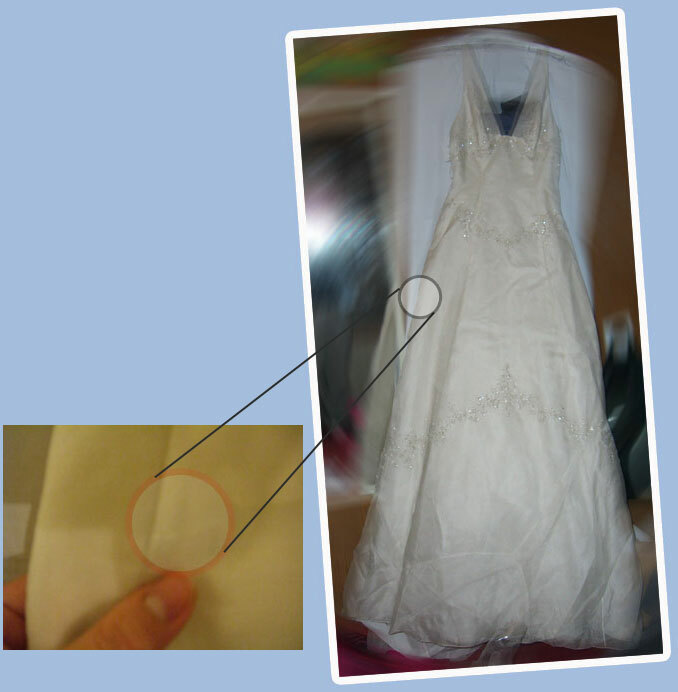 The difficult part is that it's the sheer organza overlay that's ripped so any sewing, I think, would be very obvious. Gotta check these out someday soon. I think I have to take a day off from work to trek to each place, show them the problems, ask for a quote, and compare. Hopefully they can beat the $550 that I was quoted at the sample sale.